This year’s fall production of You Can’t Take it With You was a huge success. The showings were held at the WHBHS auditorium on November 2nd, 3rd, and 4th. The play is about a wacky family, the Sycamores, living their zany, but very happy lives in 1930s New York. This family (and their friends) are a group of eccentrics, who are each their own individuals in their own way, and proud of it. Their hobbies include collecting snakes, building fireworks in the basement, writing plays that never get published, and dancing around their apartment. But when practical young Alice Sycamore becomes engaged to her company’s Vice President Tony Kirby, the Sycamore family has to get their act together to meet the new posh in-laws. Although their encounters don’t entirely workout, by the end of the play both families end up accepting each other, which teaches us an important life lesson. With twists and turns, this play was a really interesting watch! 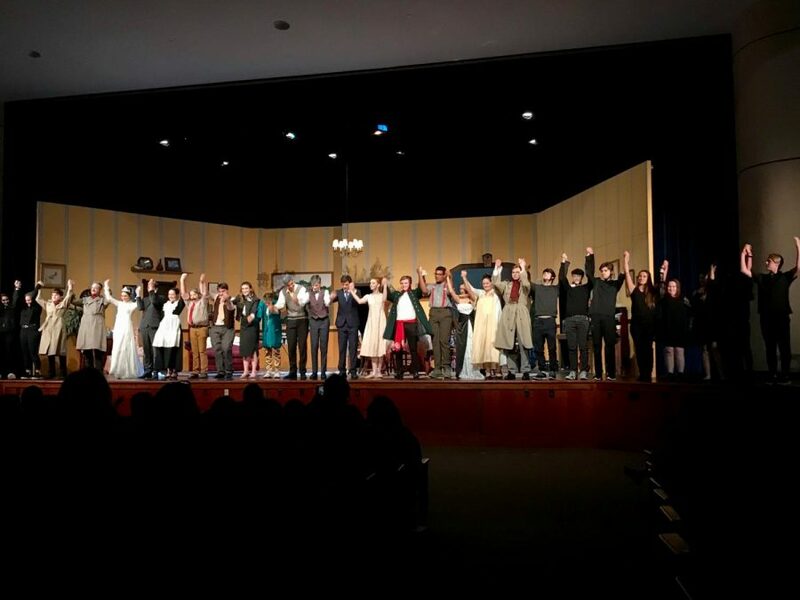 Mrs. Cline was not the only one working hard for this play’s success, the cast and crew gave us behind the scenes information on the work it took to make sure this play was prosperous. After speaking to sophomore Cassidy Connor, we got an inside look on the tasks the crew had to complete. Towards the beginning of production, the crew only spent about two days after school each week working on the play but as the premiere inched closer and closer, the crew spent just as much time there as the cast. Overall, with a lot of obvious hard work and effort, the WHBHS fall production of You Can’t Take it With You was a huge success!